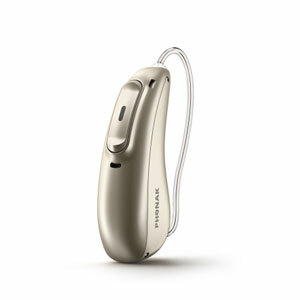 The Audeo Marvel Rechargeable M90 premium hearing aid from Phonak has built-in lithium-ion batteries that fully charges in just 3 hours. The device may use either the Phonak Charger Case Combi and Phonak Power Pack or the Phonak Mini Charger Case. The hearing technology uses Classic Bluetooth to connect to any mobile device including iPhone, Apple products, Android smartphones and other audio content accessories.